The parts of the simplest possible camera are a dark box with a small hole or window and some photographic medium on the inside back wall for recording the image. For everyday cameras, the dark box is replaced by a camera body. The window--technically called the aperture--is covered with a ground-glass lens for focusing the light that enters the camera. Between the lens and the window is a shutter that opens to let light into the camera body. The photographic medium is the film on which the light image is recorded. 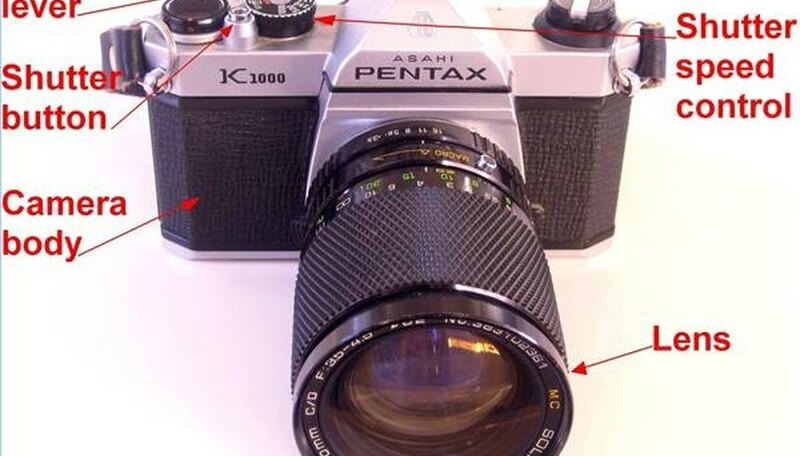 The shape of the lens determines how light will be focused. Some lenses are designed to focus on far-away objects. Other lenses are shaped to focus on close objects. Precise focusing is done by moving the lens closer to, or father from, the camera. A large aperture allows a lot of light to enter the camera and is good for low-light photography. But a large aperture also diminishes the range of focus, so the photographer must be precise in focusing. A small aperture lets less light into the camera, and is good for bright-light photography. A small aperture also broadens the range of focus so that the photographer has a greater margin of error in focusing. The aperture on most cameras can be adjusted so you get the best light exposure for your photograph. 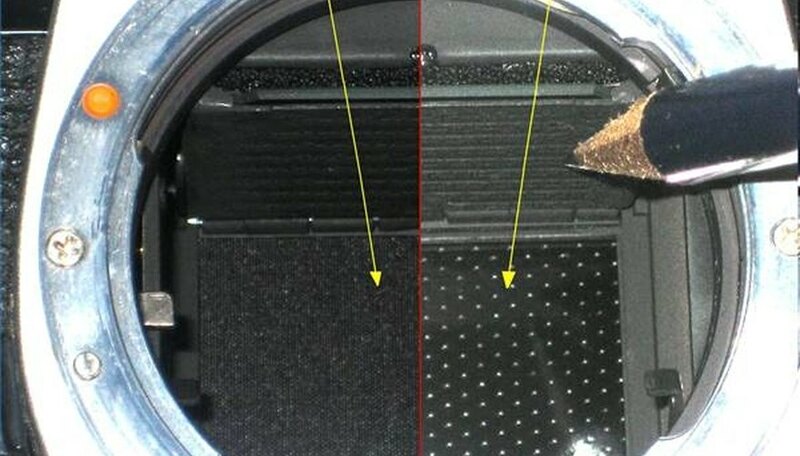 The shutter opens briefly when you depress the camera shutter button The amount of time the shutter stays open is called the shutter speed. A faster shutter speed lets less light into the camera. Fast shutter speeds are good for action photography and bright-light photography. Slow shutter speeds are good for still life or low-light photography. 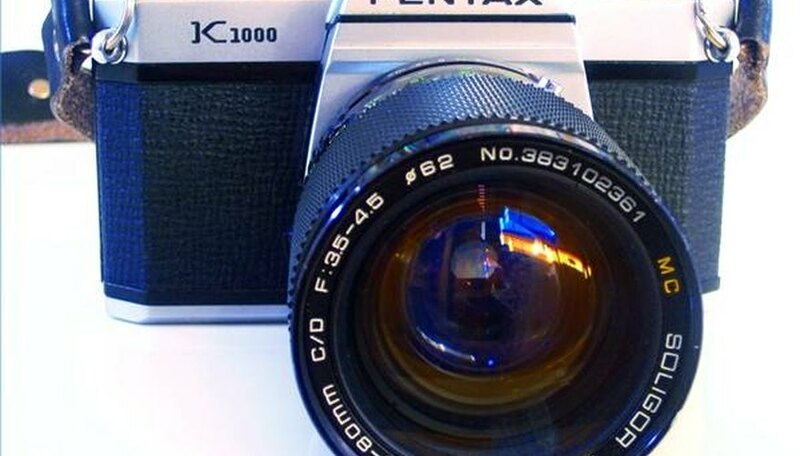 While the shutter is open, the camera lens focuses light on the film at the back of the camera. 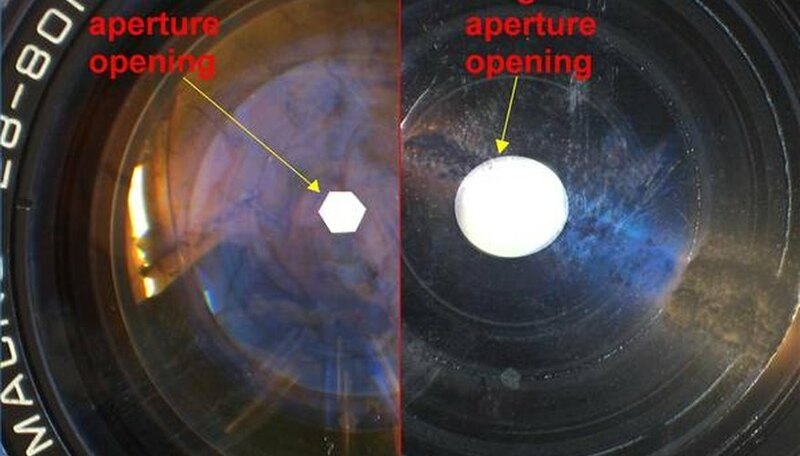 The film reacts chemically to the light so that the image is recorded. A lever on the camera advances the film frame by frame until the entire roll of film is exposed. If the film is exposed to additional light after images are recorded, the original images will be obscured. This is why film is enclosed in light-proof cartridges until it is developed. Once the film has been exposed in the camera, it is rewound into its cartridge and removed for developing. Developing involves removing the film from the cartridge and exposing it to chemicals that stop the film from reacting to further light exposure. This process is done in complete darkness. Once the film is developed, it can safely be exposed to light and is ready for making photographic prints.